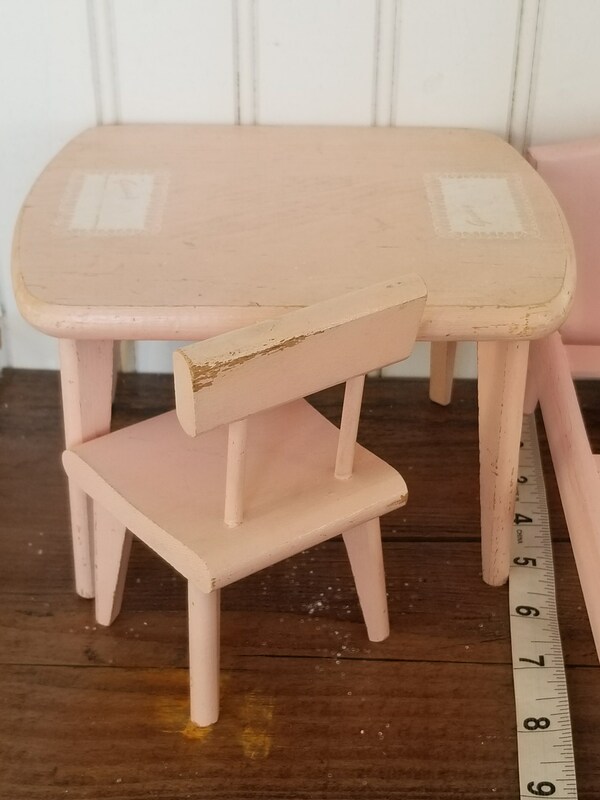 This original pink doll table and chair are a Ginny Doll brand. 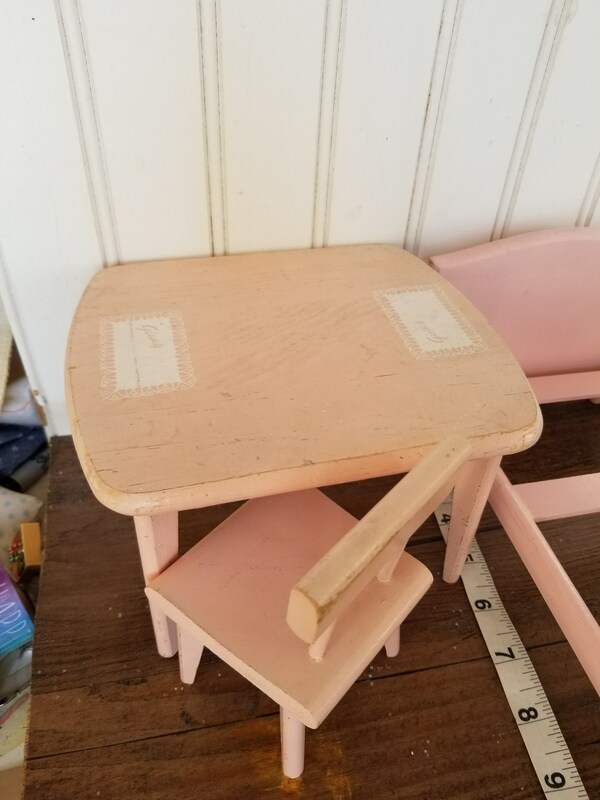 Perfect for doll sizes 10"-11". 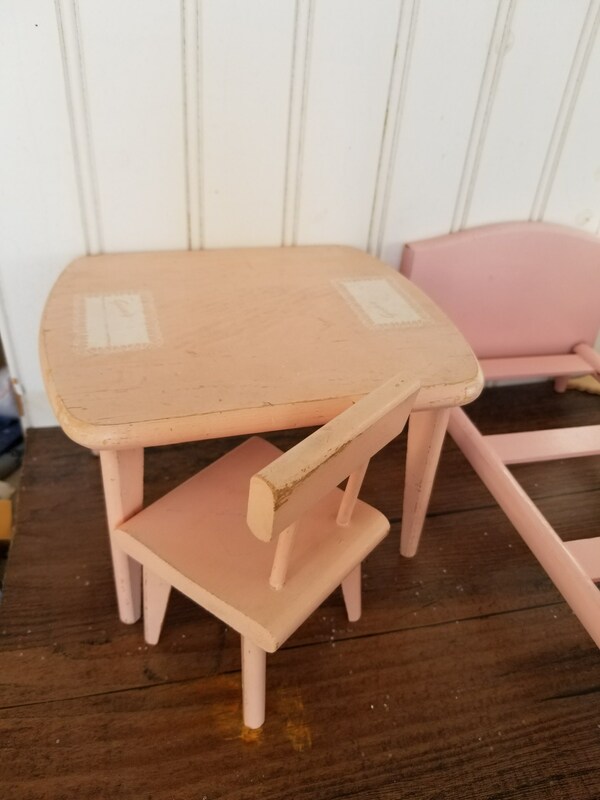 I used thes furniture pueces for doll photos and peops. 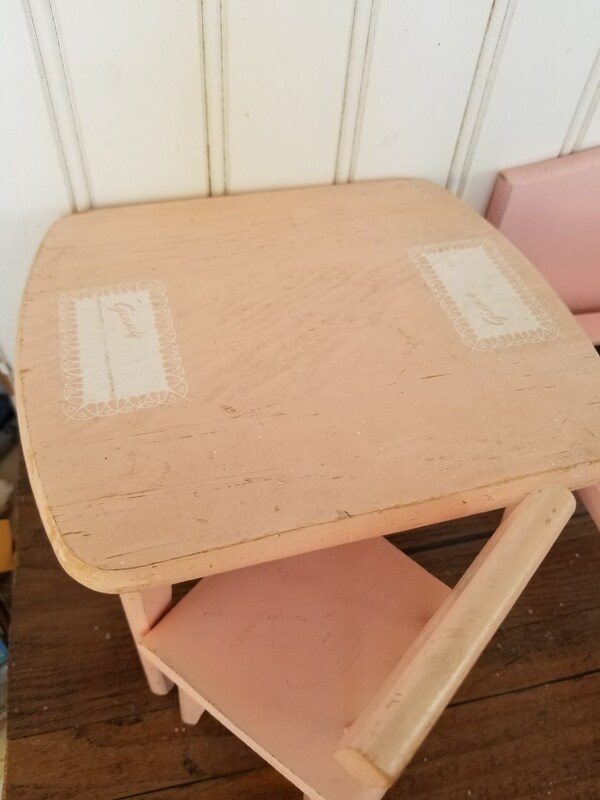 This size is perfect for a Bythe or Barbie doll table. This set has not been repainted but in original state. I'm Selling my doll props in this size.